A new year invites us to look at life from a clean, unmarked vantage point. What do we want to accomplish? What talents do we want to develop? What character traits do we want to change? Something I fascinatingly wonder is do we really see ourselves? Do we love and understand who we are? Are we honest with ourselves? Are we willing to step up to the next level? What does it take to motivate change and action? 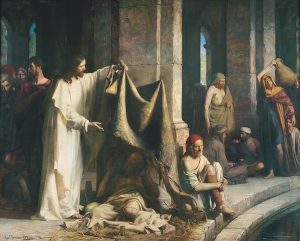 An invalid at the Pool of Bethesda had an infirmity for 38 years. He was stuck. When Jesus asked him if he wanted to be made whole, the man said he didn’t have anyone to help him get into the healing waters. Jesus told him, “Rise, take up thy bed, and walk.” And the man did. The man hadn’t step forward for 38 years because he said he couldn’t do it himself and didn’t have anyone else who could or would help him. Jesus generally didn’t approach people and ask if they wanted His help. What made this situation different? Was the man praying to God for help? While the man didn’t have a friend to lift him down into the water, he did have the One, the Master Healer, the Unsticker of stuck situations. We have Him, too. If we are stuck in a rut, or in sin, or bad habits, or fear, or doubt, or loneliness, or missed opportunities, or dashed hopes, or anything that gets us stuck, we can turn to Jesus and His atoning grace. What does changing our circumstances rather than praying for circumstances to be changed look like? The Brother of Jared popped to mind. He was stuck. His circumstance included crossing the ocean in dark, airtight, dish-like barges. He prayed for help in finding air and light and through the power of God, he changed his circumstances and got both air and light. Hezekiah’s sickness intensified and God told Isaiah to tell Hezekiah to set his “house in order: for thou shalt die and not live.” Hezekiah turned away from Isaiah and prayed to God. He was stuck. Visualizing this scene is so interesting to me. God told the prophet to visit the king to say the king would die. The king turns away from the prophet and prays directly to God. Apparently the prophet goes home. God then answers the kings prayer through the prophet as mouthpiece. “I have heard thy prayer…behold, I will add unto thy days fifteen years.” Through the power of God, he changed his circumstances. Nephi crept through the streets of Jerusalem, certainly considering his circumstances. He’d become a fugitive. His angry brothers beat him up. After two attempts, they’d failed to acquire the plates of brass. He was stuck. 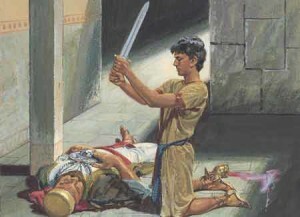 But, like Elder Bednar promised, Nephi became an agent who acts. And even without a concrete plan, Nephi acted. As he crept through Jerusalem, he said he “was led by the Spirit, not knowing beforehand the things which [he] should do.” Through the power of God, he changed his circumstances. The Shunammite woman laid her dead son on his bed. Her beloved, promised son was dead. She was stuck. But without telling anyone her circumstances or bemoaning her loss, she saddled her donkey and rode straight to Elisha. She refused to leave Elisha’s side until her son lived again. “Then she went in, and fell at his feet, and bowed herself to the ground, and took up her son, and went out.” Through the power of God, she changed her circumstances. That’s great for scripture people, but what’s possible for you and me? Everything! 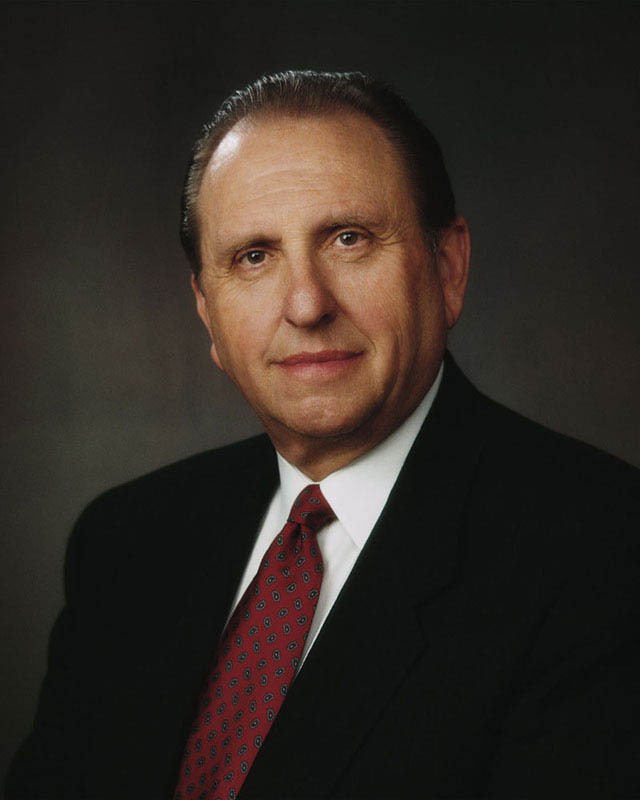 I love the scriptures because the stories depict ordinary people in critical life moments and the result of their choices. 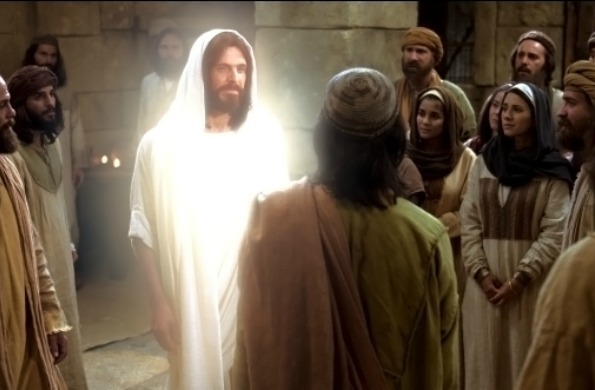 If God is the same yesterday, today, and forever, then as we apply the Atonement of Christ as Elder Bednar invites, then Christ’s grace strengthens us to do, act, and become what would be impossible without Him, just like the people in the scriptures did. My favorite quote in Jesus the Christ eloquently describes how and why we would be forever stuck without Christ’s redemptive and enabling power. 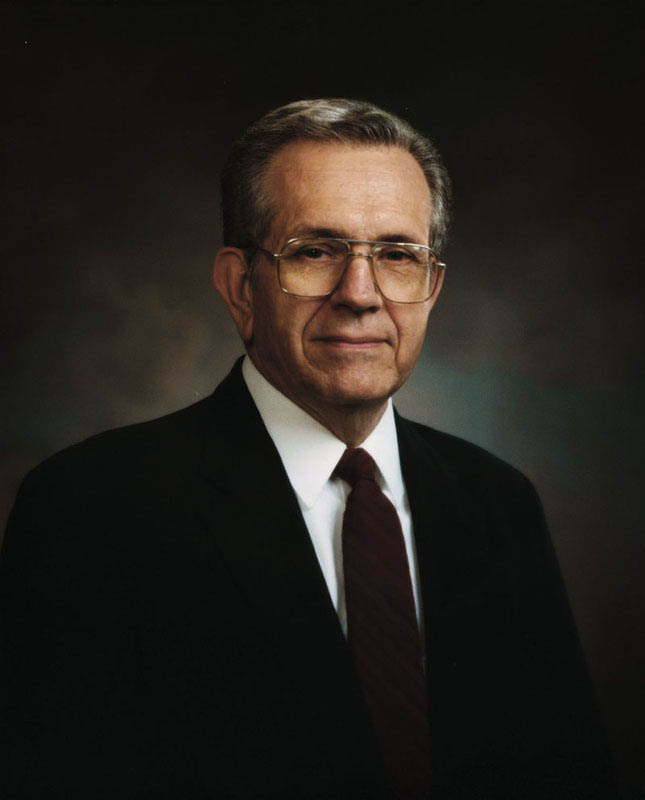 Not only will the Savior unstick our stuckness by strengthening our ability to change our circumstances, but the enabling power of His Atonement empowers us to move forward exponentially. We become more like Him as we become agents who act and do and create! This year, let’s rise up and walk with purpose, intentionally empowered by the Savior’s grace. I invite you to choose the miracle you want to see in 2017 and ask the Savior for His enabling power to make that happen. Ask Him to get you unstuck so you can run and not be weary, walk and not faint, and rise up on wings of eagles–unstuck and free. Three Goals for the Disciple Are New Year Resolutions Important? The Cokeville Miracle Why Do We Think We Have to Go It Alone?